Chiropractic is that science and art which utilizes the inherent and recuperative powers of the body. It maximizes the relationship between the brain, spinal cord and spinal column and its immediate and extremity articulations. 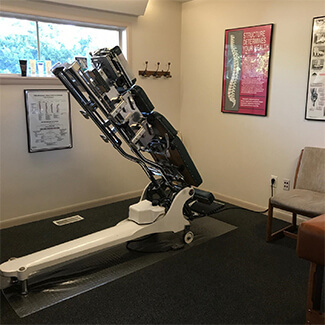 The role of an optimized brain-body connection through specific chiropractic care in the restoration and maintenance of health. We place an emphasis on quality over quantity. Most of our spinal patients only require 4-6 visits to eliminate their pain and regain their function. Do you have a problem we can help? We would love to welcome you to our caring office as a new patient. Please contact Boise Sports Chiropractic Clinic today and book a convenient appointment!